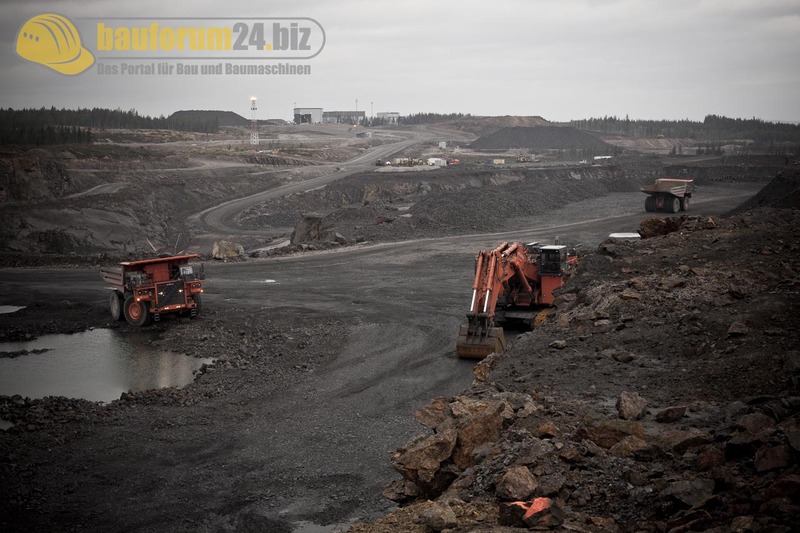 According to the EU paper “Analysis of the competitiveness of the non-energy extractive industry in the EU” from 2007, Fennoscandia is planned to be a centre of mining in Europe, alongside other world centres in Australia and Eastern Canada. We just listened to a presentation here in Rovaniemi where Mika Flöjt tried to summarise the arguments of his recent book on Europe’s biggest Nickel Mine, Talvivaara. The book is in Finnish. Therefore I found it useful to put a summary of what he said up here for those interested in the Arctic extractive industries. Talvivaara Mine Site. Europe's biggest Nickel or also Uranium mine? His paper raises several hot questions relevant for northern extractive industries and processes of information management and decision making in general. While many people in Finland (and maybe Europe) know Talvivaara due to its huge environmental problems, Mika’s focus is on an at least as important but less known aspect of this site: the Uranium production “through the back door”. On March 1 Talvivaara got an Uranium mining permit granted, funnily just the same day as the new FInnish president was inaugurated in to office. This would make Talvivaara to Europe’s biggest Uranium producer as well. There is capacity to produce 350 tons and more, which is more than the current biggest uranium mine in Europe in the Czech Republic. Mika’s book sheds quite a different light on this granting process than the official statements that we can read in the international press. His father (engineer) contributed through participating in research meetings, with Mika (social scientist) to get an interdisciplinary perspective. The data comes mainly from meetings with the mining companies, licencing bodies, intermediary experts and public hearings. 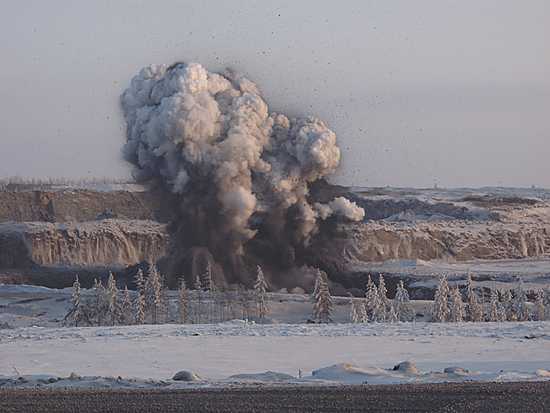 Mika’s previous research proved also useful, focusing on Uranium mining in the North of Finland, studying materials from companies, the Geological Survey of Finland, International Energy Agencies, and local politics. Uranium mining is highly controversial in Finland. The country has signed the EURATOM treaty, inducing it to explore its own uranium resources as long as they use nuclear power, which they will be doing more in the future – at a time when other countries start opting out of nuclear energy. On the other hand, there is opposition of the local population that is clearly against uranium exploration. This raises the question of whether or not this is good as a project for the nation? If it is not, it would be against Finnish law to mine Uranium, even though the EURATOM treaty induces the country to do so. But who is it that decides what is good for a nation? This brings us to asking on what basis are decisions made. Mika’s study gives answers to that in so far as he studied how expert knowledge travels to the people, or is restricted to travel. Researchers, e.g. from the geological Survey of Finland, can work as consultants for the mining companies in Finland. The fact that the survey has a double function, being a public research body AND a corporate consultancy, may become a matter of hot debate. The Geological Survey of Finland is not the only such state run institution with a double role. A similar position is also held by Metsähallitus, the Finnish Forestry Administration, a body that is responsible both for the environmental protection and the economic exploitation of the Finnish Forests. This reminds me of the outcries when Russia merged the responsiblities for protecting and exploiting nature in to the new Ministry for Natural Resources. Everybody was talking about how conflicts of interest are inherent in this organisation. Exactly that is also the case with these Finnish institutions. They are the ones that hold the expertise that is needed to decide whether or not mining projects will be good for the nation. Mika argues that politicians make decisions basing on information that is incomplete, because the insituttional experts such as Geological Survey of Finland hold back information due to their double role. Talvivaara gained access to Uranium production through the backdoor, because the permit was granted for Europe’s biggest Nickel mine, while later it turned out that this is also an Uranium production site with huge reserves. The problem was that there was no additional environmental impact assessment carried out for this, and Uranium is going to be ‘just a by-product’. The local environmental agency ELY Keskus argued that Uranium was not included in the EIA procedure, because the company was not intending to produce Uranium from there. However, Flöjt argues that the EIA is supposed to consider ANY possible impacts on the environment, regardless of the production plans of the company. Are the guidelines of the Århus convention implemented here, calling for access to valuable information and transparency? Interaction between authorities and the public in this case was not transparent, as Flöjt’s book proves. He argues that the authorities knew about the huge uranium reserves in Talvivaara long ago, but they withheld that information even to local politicians and the people, who then formed their opinion basing on incomplete information. This is the opposite of the transparency requirements of the Århus convention. According to reports by the Geological Survey from as early as 1980 and 1981 reports, Talvivaara uranium was already classified as producable “if the enrichment and processing problems will be solved”. When we talk about nuclear energy, so far the full nuclear lifecycle is not considered. This would include not only the nuclear waste problem, but also uranium mining. The discussants to Mika’s paper highlight that there is a huge wealth of data in this research, but so far this has not been analysed academically consistent enough. As it stands now, this work is a very political contribution to a topic of hot debate. As such this is probably highly needed in Finland that I have felt to be a society of extreme consensus-making. The question of mining induces us to think about how high is the price that we want to pay for this consensus? This entry was posted in Extractive Industries, Fennoscandia, Publications. Bookmark the permalink. 3 Responses to Controversies in northern mining: Mika Flöjt’s book: ‘just’ Nickel, or Uranium? Mika! Your book is great. You need to write a second book about Talvivaara. A continuation!